Tech watchers, buckle your seat belts. The first week in September is going to be a wild ride as Nokia, Motorola, and Amazon introduce new devices just before Apple is expected to unveil its next generation iPhone on September 12. On September 5, Nokia and Microsoft have scheduled an event in New York, where the companies are expected to announce a high-end Lumia phone, probably with a new version of Windows Phone OS. Nokia’s annual developers' conference also takes place September 5 through 6 in Finland. Some people believe the Windows Phone operating system is dead in the water, but such thinking underestimates the connection that people may make between the Windows 8 interface on their desktop or tablet, and the one they can get on their smartphone. Remember that Windows Phone 8 will be closely aligned from a technology standpoint with the upcoming Windows 8 OS for desktop PCs, laptops, and tablets, which is slated to ship at the end of October. "They're going to start promoting [Windows Phones] to connect the two in consumers' minds," Steve Koenig, director of industry analysis with the Consumer Electronics Association, told PCWorld. "And it would probably happen from the phone side; so if you get a Windows Phone, you can also get a Windows 8 tablet, just as an example. This makes sense because carriers like AT&T are starting to offer more shared data plans across devices." 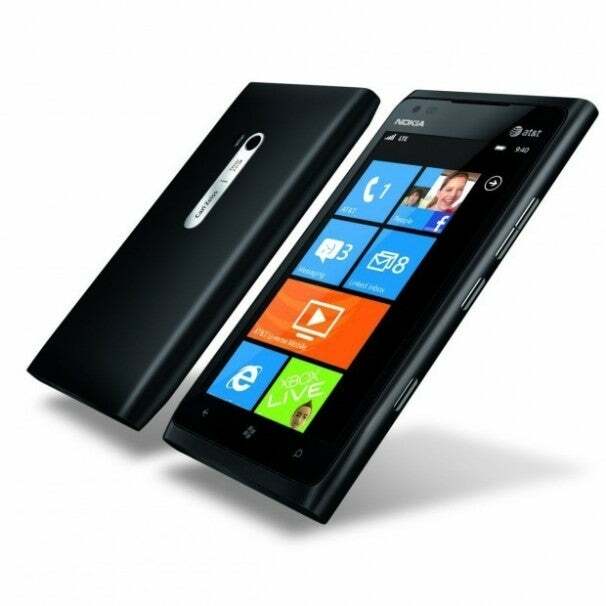 As for an improved Lumia device, it's exciting news for Nokia fans. I tested the Lumia 900 a few months ago and found the Windows Phone interface refreshingly different from iOS and Android, particularly the colorful "live" tiles that morph as your phone is synced with real-time information. I also appreciated Nokia's choice of sharp edges, quality materials and excellent camera -- opposed to my Samsung Galaxy Nexus, with its iPhone-like rounded corners, cheap-feeling plastic build and mediocre camera. 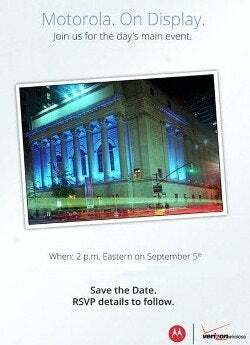 Also in New York on September 5, Motorola will stage with Verizon what they're calling "the day's main event." Motorola is expected to introduce what may be called the Droid Razr M 4G LTE, its first major phone since the company was acquired by Google for $12.5 billion. The new phone is expected to have a bigger battery, 8-megapixel camera, software navigation buttons for Android 4.0, and possibly NFC functionality. The latest rumor, according to an unnamed source who dished to Bloomberg, is that the new 4G LTE-enabled phone will have a unique edge-to-edge display that maximizes the screen viewing space by eliminating black frames or bezels. Whether Motorola's new phone will deliver an HD display is unclear. Recent speculation indicates it may be a 4.3-inch qHD (960-by-540-pixel) Super AMOLED Advanced display with Gorilla Glass 2. 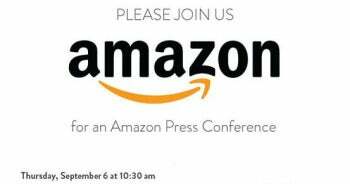 On September 6, Amazon has scheduled an event in Santa Monica, California, when it is expected to give a first look at new iterations of its Kindle Fire tablet. According to The Wall Street Journal, Amazon will announce an ad-supported Kindle Fire that "would display an ad after the user 'wakes the gadget." Such a device would presumably be cheaper than an ad-free version, similar to how last year Amazon positioned its inexpensive Kindle with Special Offers for $114 instead of $139 for the standard version. In addition, CNET reports that Amazon will take the wraps off two new 7-inch Kindle Fire models, according to "a person who has seen the products." This individual says the company will announce a brand new Kindle Fire as well as a slightly improved version of the original. The rumor follows up on Amazon’s announcement earlier this week that the original Kindle Fire was "sold out." While rumors that Amazon was working on a larger iPad-sized version of its tablet may still be true, the latest word is such a device won't show up at Tuesday's news event. Amazon claims the Kindle Fire has captured 22 percent of U.S. tablet sales, numbering in the "millions." Indeed, consumers gobbled it up when it debuted during last year's holiday season for only $199. Since then, however, competition in the tablet market has heated up considerably. Amazon now has to contend with Google’s Nexus 7 running Android 4.1, Jelly Bean, which sold out of stores and marketplaces almost immediately after it started shipping in July. And then there's Apple, which is expected to unveil a new smaller tablet that certainly will make things tougher for other 7-inchers already in the market. Even if Apple doesn't cave to pricing pressures from the many tablet manufacturers selling them for $199, it's still likely to be a huge hit because of Apple's large fan base and well-established history of bringing top-notch products to market. As a possible example of how the Apple Mini might be better than competitors' products, recent rumors suggest the smaller iPad will not have the same aspect ratio as the Kindle Fire and Nexus 7, but one that's more like the iPad. If true, the iPad Mini's display would be as tall as the current iPad's width, assuming the display size is between 7 and 8 inches. To maintain the same aspect ratio as the larger iPad, the iPad Mini would have a 7.85-inch screen diagonally, with a resolution of 1024 by 768 pixels. As a result, the smaller iPad would have almost 40 percent more screen territory than 7-inch tablets like the Nexus 7 or Kindle Fire. 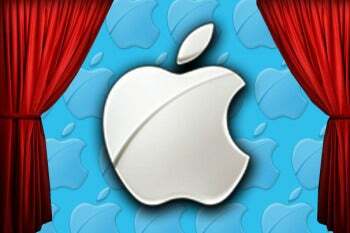 Will Apple unveil the iPad Mini on September 12? Maybe not. Tech blogger John Gruber recently opined that Apple will release the next generation iPhone on September 12, but wait several weeks before taking the wraps off of the highly anticipated iPad Mini. Stay tuned. PCWorld. will attend the Nokia, Motorola, and Amazon events next week, as well as the expected Apple event on September 12.